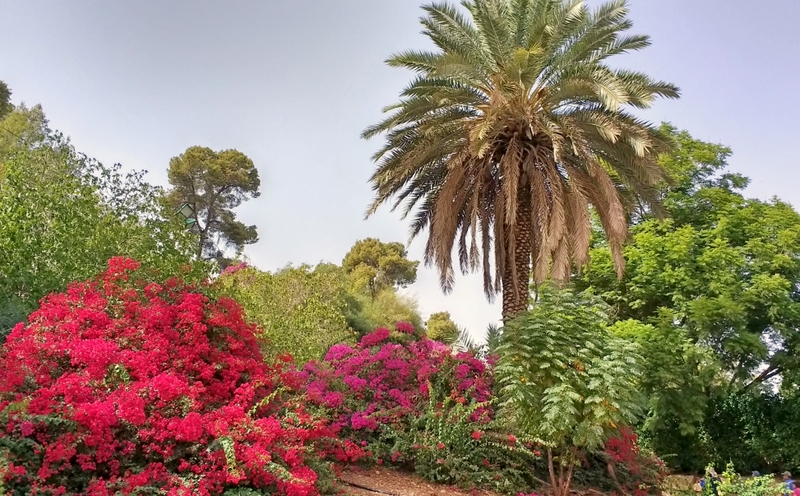 This morning we left the Dead Sea, made our way to the border crossing at the King Hussein Bridge into Israel, and arrived after dark at Tiberias on the Sea of Galilee, with brief stops at Jerusalem and Caesarea on the way. 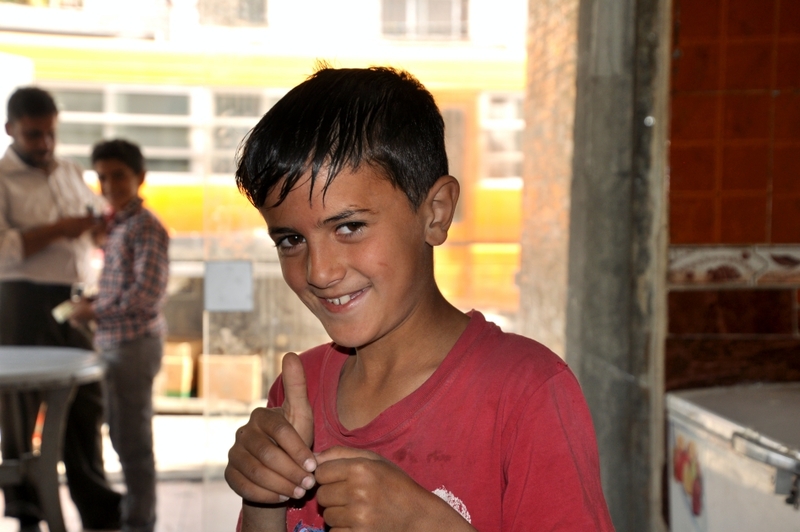 We plan as time permits to share more photos/info from this past week in Jordan, as well as more to come in Israel. 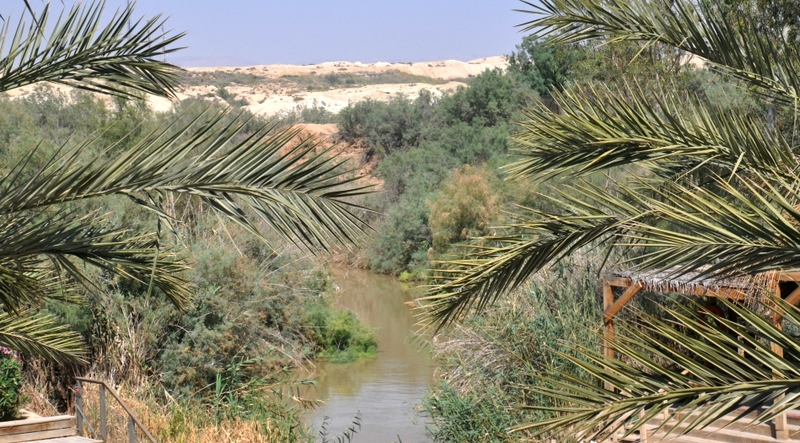 For tonight I wanted to mention Zarethan in the Jordan Valley, of biblical significance in the Old Testament. 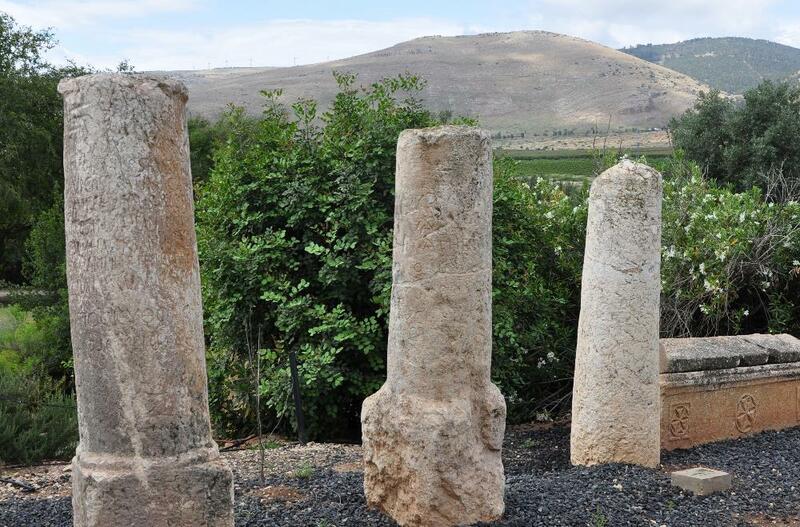 When Solomon was building the temple and its vessels, some of the metal casting (bronze) was done in the area of Zarethan. Zarephan, mentioned in connection with casting bronze for use in Solomon’s temple. Photo by Leon Mauldin. 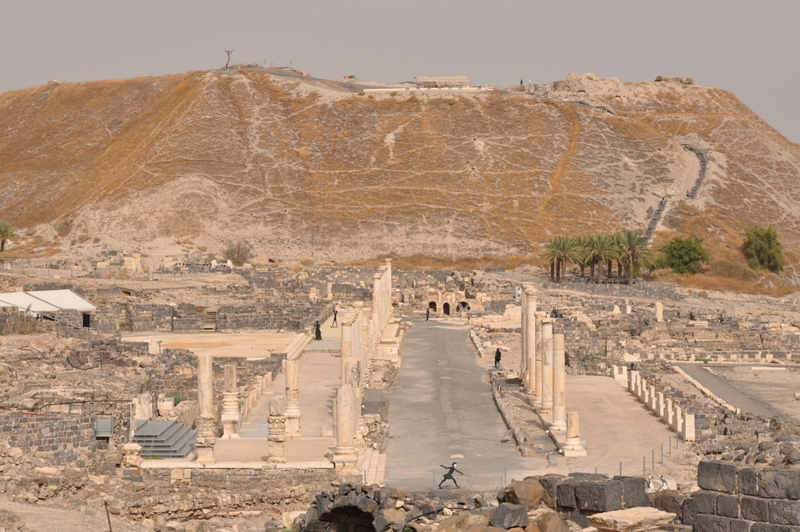 Tell es Sa’idiyeh, identified as the biblical city of Zarethan, lies at the heart of the central Jordan Valley. The huge, double occupation mound occupies a key strategic position, commanding the crossroads of two major trade routes, and dominating some of the richest and most fertile agricultural land east of the River Jordan. Excavations undertaken since 1985, by a British Museum expedition under the direction of Jonathan N. Tubb, have revealed the great antiquity of the site’s occupational history, with settlement phases extending from the Early Islamic period of the seventh century AD, as far back at least as the Early Bronze Age of the third millennium BC. 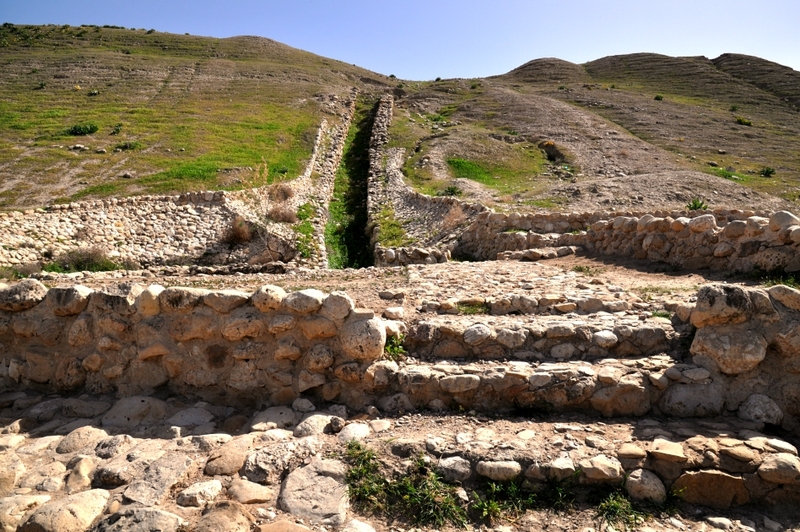 Excavations have shown that by about 2900 BC, Tell es-Sa’idiyeh was a large and prosperous city, with well constructed architecture and evidence for highly developed municipal planning. The most significant finding in this Early Bronze Age phase has been of a large palace complex on the lower tell, with areas set aside for olive oil production and storage, wine-making and textile preparation. All three of these activities were conducted on an industrial scale, clearly designed for international commerce. The pottery and other artifacts recovered from this early city display a level of refinement and sophistication unparalleled elsewhere in the Levant. Equally remarkable discoveries relate to the city of the twelfth century BC, where excavations have uncovered evidence to suggest that Tell es-Sa’idiyeh, like Beth Shan or Gaza on the other side of the Jordan River, was a major centre for the Egyptian control of Canaan during the final years of its New Kingdom empire. Substantial architecture, including an elaborate water system and Egyptian-style public buildings have been found on the upper mound, and the same strong Egyptian component is also found in the contemporary cemetery which was cut into the long-abandoned and eroded ruins of the Early Bronze Age city on the lower mound. The expedition has excavated, to date, some 450 graves, many of which show unusual Egyptian features, both in terms of the grave-goods and burial customs. (http://www.britishmuseum.org/research/research_projects/tell_es-sa%E2%80%98idiyeh_excavations.aspx). A couple of days ago I posted a sunset view of the Dead Sea; here is our view of the Dead Sea from the Jordan side looking across to Israel this morning. 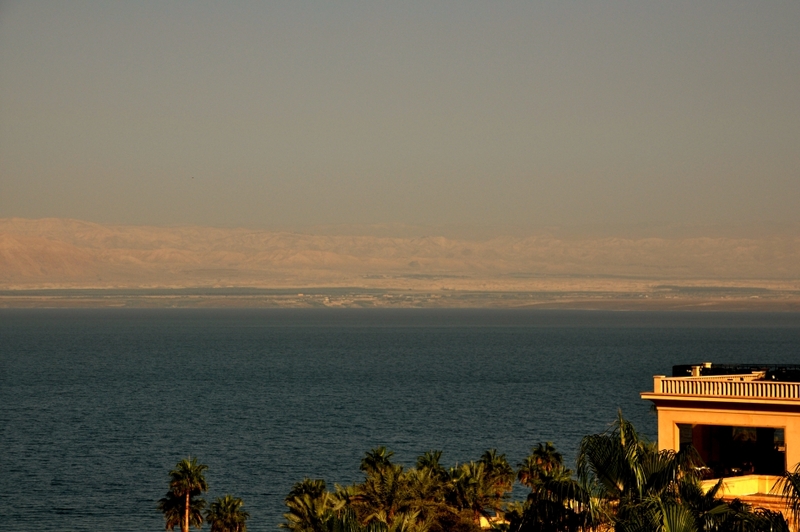 Morning view of Dead Sea looking west. Photo by Leon Mauldin. 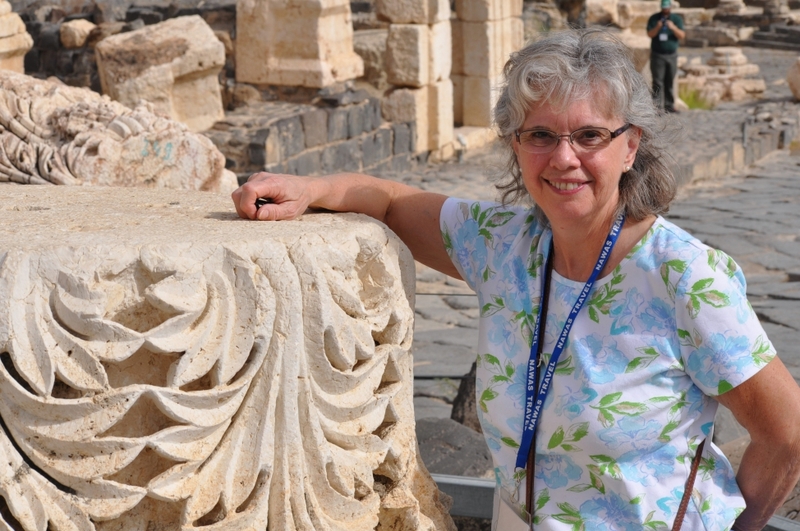 Ferrell Jenkins & I are continuing to enjoy our present opportunity to visit and photograph biblical/archaeological sites in Jordan and Israel. We also enjoy meeting many friendly people along the way. 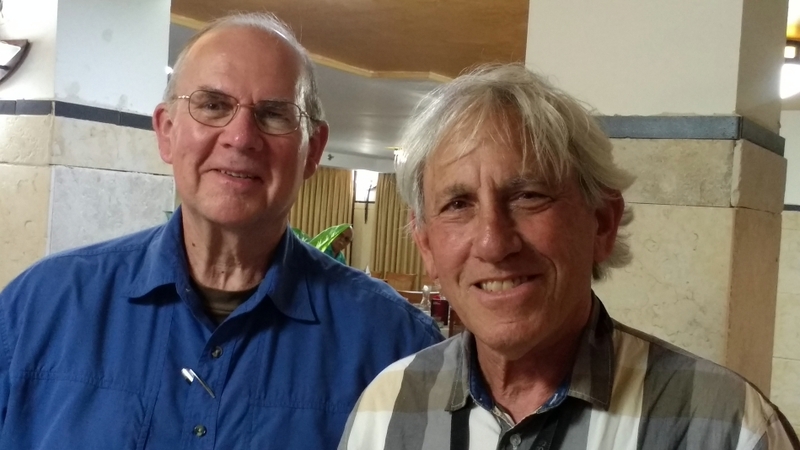 Today as we were looking for Tell es Sa’idiyeh, identified as the biblical city of Zarethan, we stopped for a bite of lunch in the Jordan Valley, in the biblical region of Perea. The food was good (we each had a 1/2 chicken), but it was also pleasant to meet friendly people. Thanks for continuing to follow our travels. Today after leaving Jerusalem I made a stop at the Jordan before heading up the Rift Valley for the Galilee. 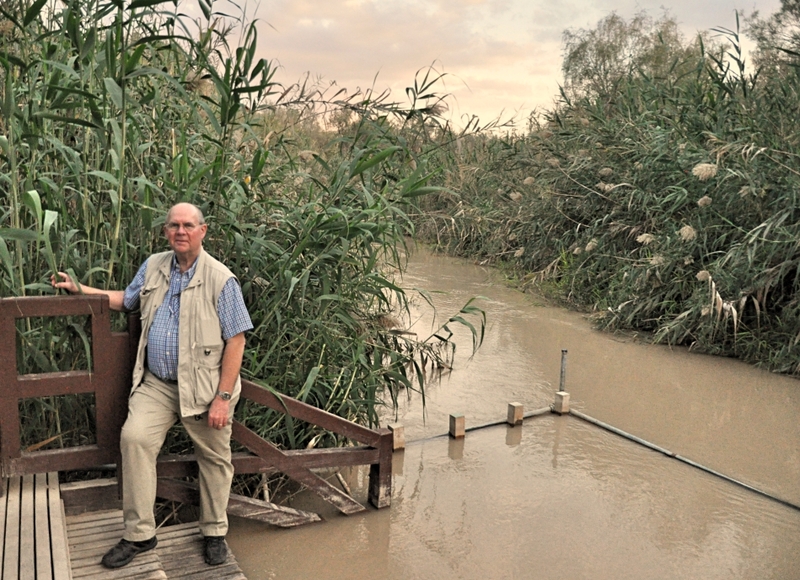 This location is thought by many to be the area in the Jordan River where Jesus was baptized by John. 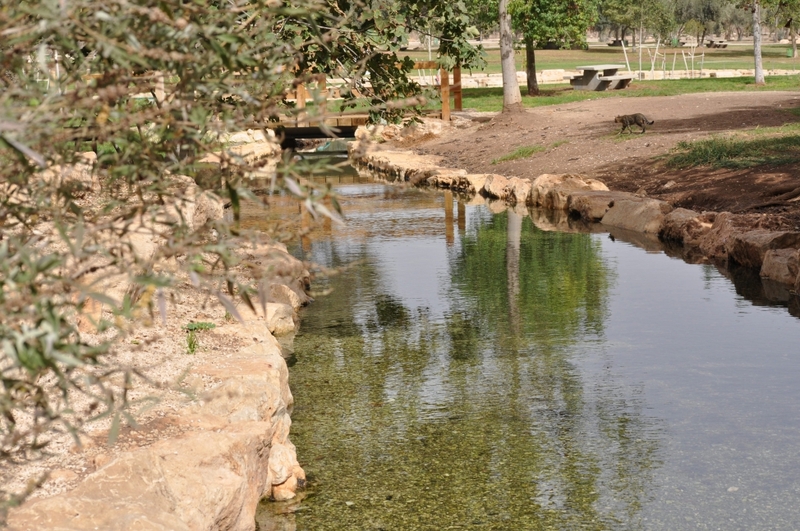 Jordan River. Traditional location of Jesus’ baptism. Photo by Leon Mauldin. Leon Mauldin and Zachary Shavin. a large lake in southern Israel at the lowest point on earth. In the Old Testament it is called the Salt Sea (Gen. 14:3; Josh. 3:16); the Sea of the Arabah (Deut. 3:17); and the Eastern Sea (Ezek. 47:18; Joel 2:20). 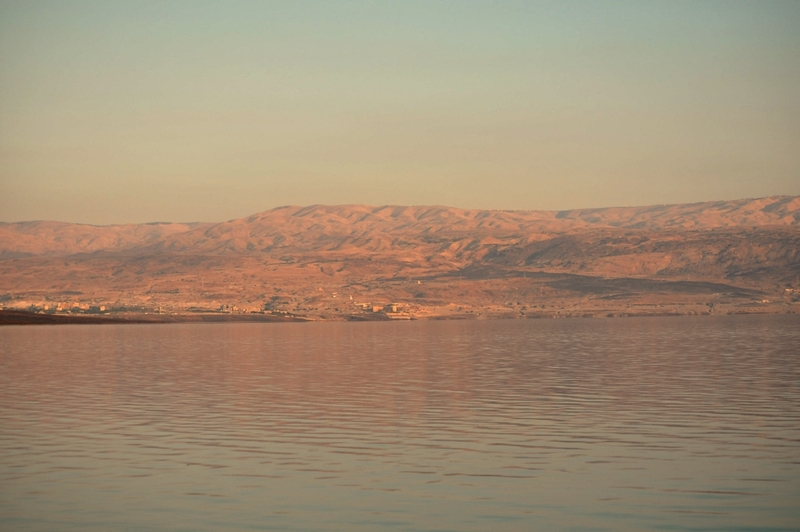 Josephus, the Jewish historian, referred to this buoyant body as Lake Asphaltitis. The Arabic name is Bahr Lut, meaning, “Sea of Lot.” But from the second Christian century onward, Dead Sea has been the most common name for this unusual body of water. 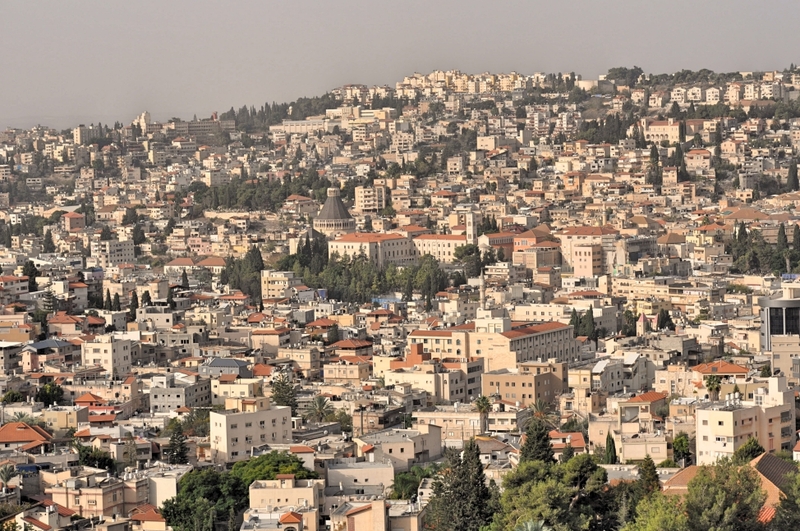 The topography of the Middle East is dominated by a geologic fault that extends from Syria south through Palestine, all the way to Nyasa Lake in east-central Africa. The Dead Sea is located at the southern end of the Jordan valley at the deepest depression of this geologic fault. With a water level approximately 390 meters (1,300 feet) below sea level, the surface of the Dead Sea is the lowest point on earth. At the deepest point of the sea, on the northeast corner at the foot of the Moab mountains, the bottom is 390 meters (1,300 feet) deeper still. (Nelson’s New Illustrated Bible Dictionary). Dead Sea at Sunset. Looking east to the mountains of Moab. Photo by Leon Mauldin. The Dead Sea is actually a lake into which the river Jordan flows, but once entering the Sea there is no outlet. Because of its high mineral content (25 percent), and the fact that the water is ten times saltier than the ocean, the Dead Sea does not support marine life. These unusual geographical facts became the basis of a thought-provoking song by Lula Zahn (words are now public domain) that makes spiritual application. It has been my experience that this is not the easiest song (musically speaking) for congregational use, but it’s worth the effort to try! Who God’s good gifts obtain? You are currently browsing the archives for the Jordan Valley category.